We met outside the Frye Art Museum today. 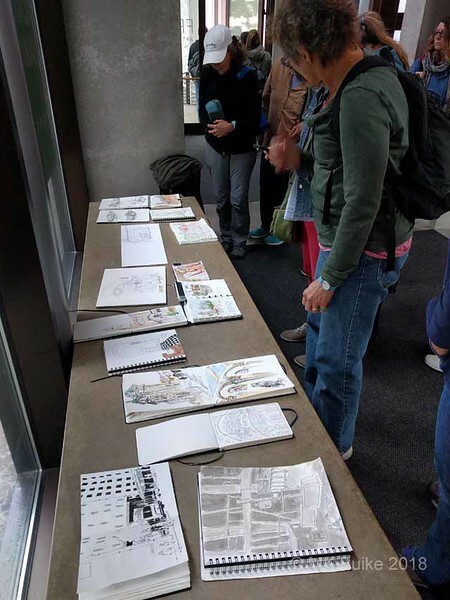 There were some options for sketching: St. James Catholic Cathedral, O'Dea Cathedral High School, historic Trinity Episcopal Church and, of course, the Frye. Many sketchers chose St. James as the subject. It was open so a good place to shelter from chill and rain. I really like Gothic and neo-Gothic architecture. 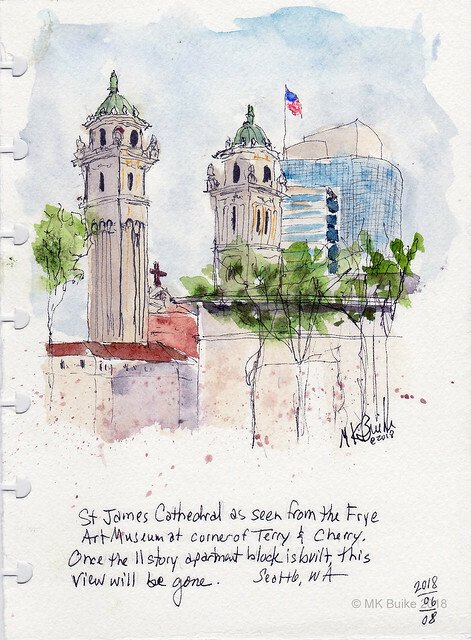 My first sketch was a view of the towers of St. James seen from the street corner next to Frye. The parking lot across the street will become an 11 story apartment building. Once that is built, this view will no longer exist, at least from street level. 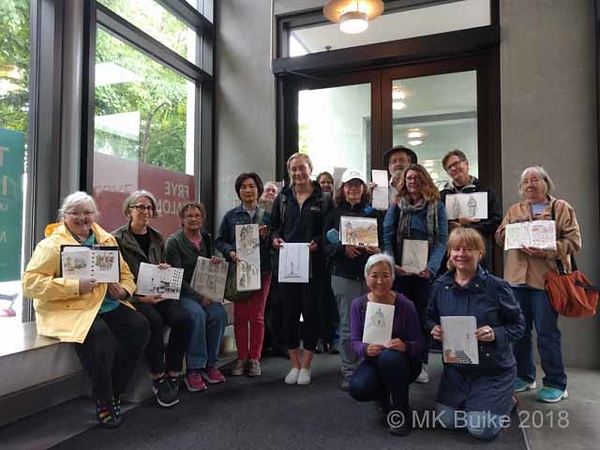 It had started to rain but I had been protected by a large tree as I sketched the towers. 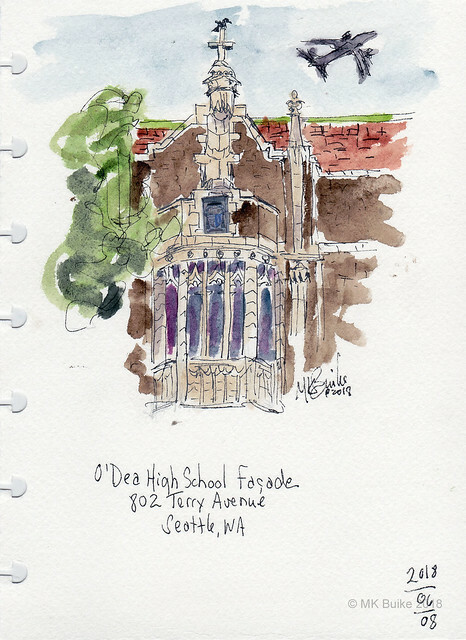 I moved down the street to sketch the facade of O'Dea Cathedral High School. I shelter under the entrance alcove of the school office building across the street. Note the two birds. Aircraft were flying over regularly so I had opportunity to do a composite shape. Then a large crow landed on the cross at the peak of the building.